horseman, ploughman, teamster, wagoner, waggoner; is entirely responsible for care of horses under his control and attends to watering, feeding and bedding; harnesses horses and drives them in accordance with whatever work is to be undertaken, e.g. ploughing, reaping, harrowing, carting, etc. ; sometimes supervises work of under-carter (q.v. ); cf. ploughman; on sewage farm, carts sewage to spread on the land. a farm lad (024) (q.v.) who assists carter (q.v.) in care of horses. Scottish term; a leading ploughman (q.v.) who is given first choice of work to be done, takes horses first out of stable and puts them back first, other workers following his lead; may also receive day's orders from farmer (011) or grieve (015) (q.v.) to be passed on to other workers. mixes food for and feeds and waters horses; sponges, brushes down and curries horses; cleans stables and attends to harness; is particularly concerned with carriage horses or hunters; sometimes specifically designated, e.g. shire groom. usually the head groom (q.v.) at a horse breeding farm; assists at foaling and rears young horses with special care and attention; may break in horses to saddle or harness. lives in a cottage belonging to the farm and acts as horsekeeper (q.v.). looks after horses, and grooms and feeds them; sometimes also works them, cf. carter. assists ploughman (q.v.) by leading horses which draw the plough. (iii) In North of England and Scotland, see carter. 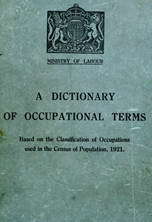 term used in Northumberland, and on large farms in other parts of North of England for ploughman (q.v.) also acting as head man on farm. grooms, feeds and travels with stallion when in service; responsible to owner for proper care of animal. a second carter or younger man who does work in connection with horses as carter (q.v.) but who is under the supervision of the carter.